Would you like to get more enjoyment from your stay in Nice? Are you curious about the events that shaped the character of this intriguing city by the sea? This book is not a guide to Nice in the traditional sense. I won’t be mapping out tour routes or recommending restaurants. Others can do that much better than I can. What I will be doing is recounting stories about the people and events from Nice’s past that have helped to form the city’s character. These stories are meant to be entertaining as well as informative and to help you better understand the city that I happily call my adopted home. I feel very privileged to live in Nice and to be able to explore its history on a daily basis. 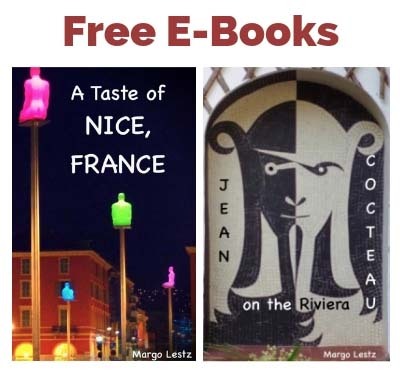 I hope this collection of stories will help to make your time in Nice more interesting and memorable. Calling all Francophiles! 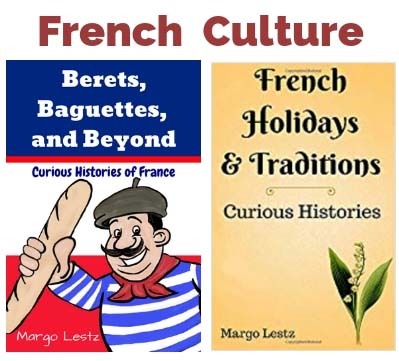 Margo Lestz does it again with her second book filled with fascinating and quirky bits of information that inform us about essential aspects of the culture of la belle France. As a resident of this wonderful city, I thoroughly enjoyed this book and it actually taught me a few things about the place I didn’t know! Very entertaining and informative in a light-hearted way. 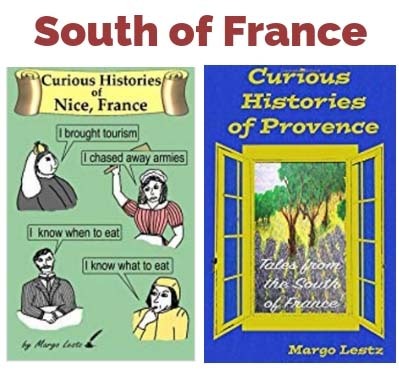 The only thing better than reading all of these quirky little stories about colorful characters and historical events in Nice, France, was having Margo Lestz visit our local book club. All of us at Riviera Readers greatly enjoyed not only reading this book – but hearing how Margo set out on a one-woman mission to research all this local lore and pulled it together to be published for the first time. Great insight into behind-the-scenes Nice that gives some added depth to your stay beyond sunny days spent at the beach.